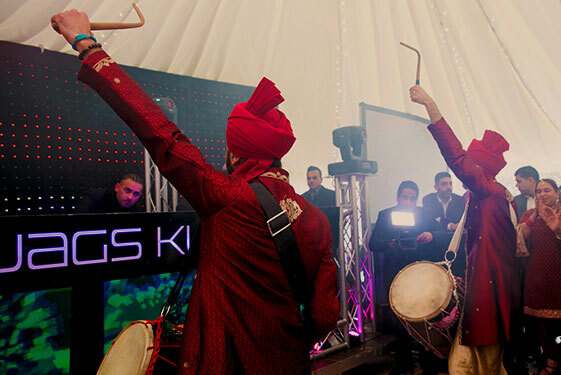 Are you looking for top class dhol drummers for a wedding that will make your entrance truly memorable? 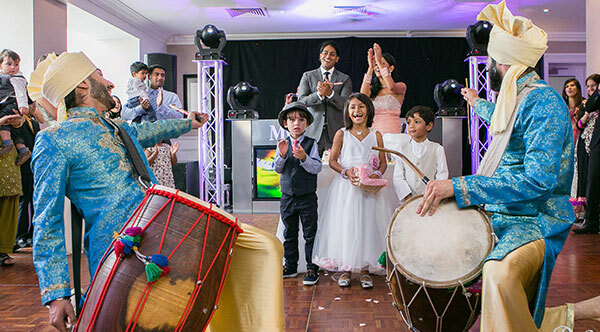 Renowned for their charismatic style of playing, performing a variety of mid-tempo and up-tempo eclectic beats in perfect synchronisation, these dhol drummers offer a mesmerising performance that will always create an elevated experience - perfect for your wedding or special event. Fill out an enquiry using the blue button on this page and we will get them to give you a call directly. 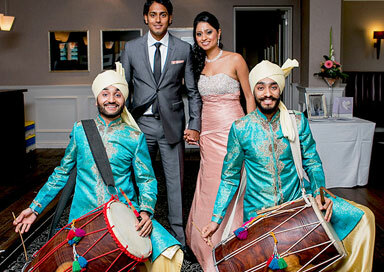 Available throughout the UK - London, Birmingham, Leicester, the North, the Midlands and the South Coast.